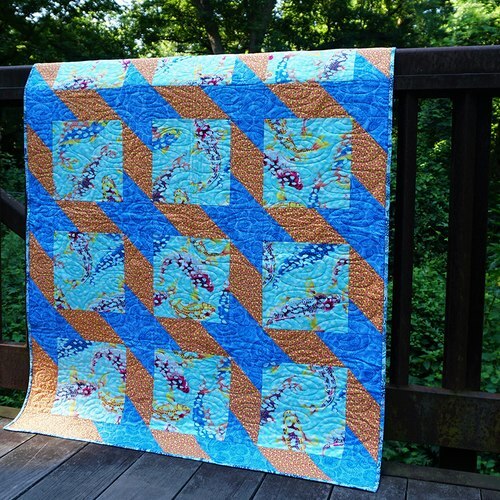 The Ripples Teal Quilt Designed by Heidi Pridemore, Tech edited by Linda Turner Griepentrog for FreeSpirit, The pattern is available for Free. Bordered blocks showcase a great collection of bright prints. This quilt is easy enough for a beginner to make—just cut all the strips and work around the colorful centers.